The SM series thermal shock test chamber makes it possible to quickly and autonomously transfer test items back and forth repeatedly between a hot and cold environment. Thermal shock testing is different from thermal cycling, the latter being a longer and slower process. To see a more in depth look at thermal shock versus thermal cycling, visit our About Test Chambers page. 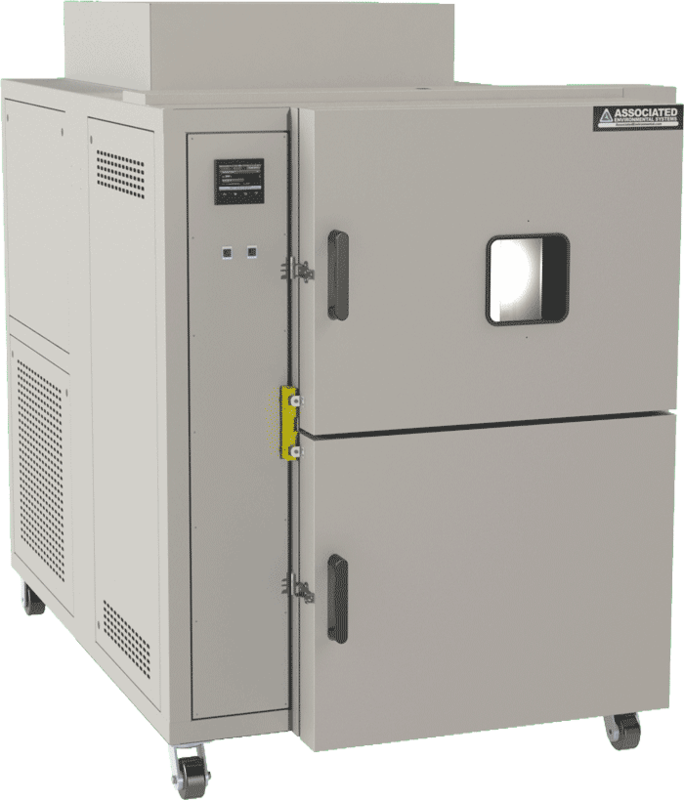 The SM series thermal shock test chamber is designed to create a 265ºC / 477ºF temperature variation very rapidly. Our standard thermal shock test chamber has two compartments, one heated and one cooled to support the rapid change in temperature exposure for the tested product. 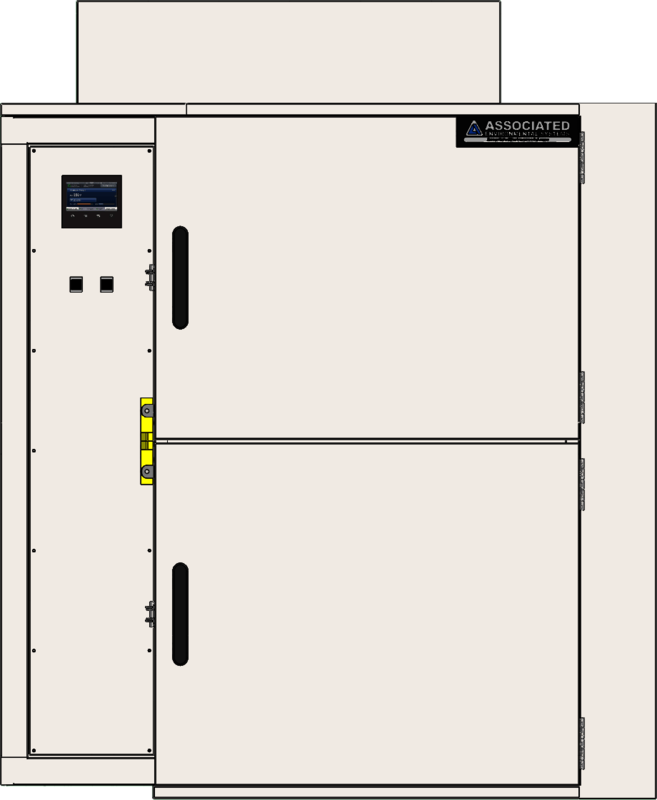 The product being tested is quickly transferred between the two zones by a pneumatic elevator. 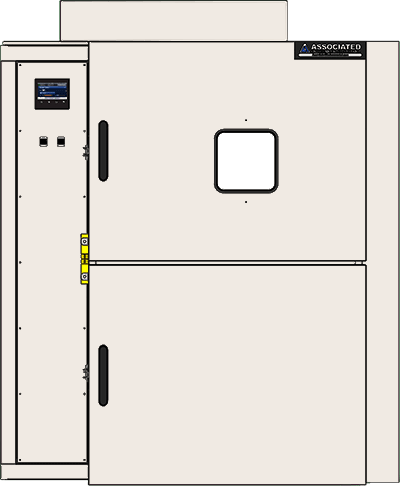 The SM series also can have a third compartment added for ambient temperature exposure to the product. 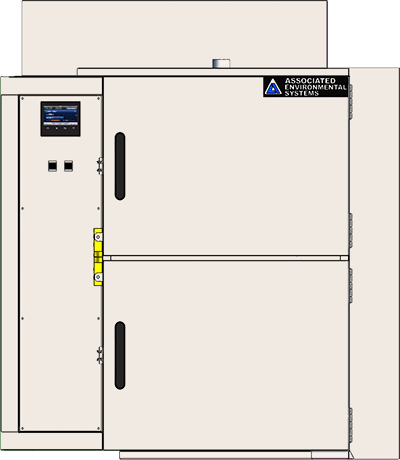 The SM series is an air to air thermal shock test chamber.